Show your website visitors you care about website security and their privacy. 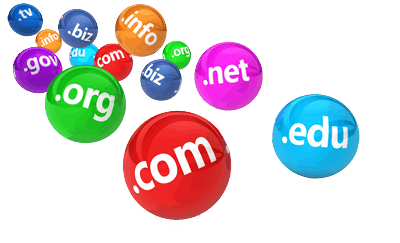 Purchase SSL Certificates for one or multiple websites, including subdomains. Encrypt the data your website visitors send through your Contact page. Do you need the most extensive validation for your website? Then you want the Premium SSL Certificate. If yes, then it’s imperative that you buy an SSL Certificate for your website. When you collect any customer information like, Name, Address, Phone number, Email address, or Credit Card info it is exposed. That data becomes vulnerable as it’s transmitted through the internet if there is no SSL Certificate installed on your website. Show your customers that you care about their online shopping experience, and that you want to secure their personal information. Google shows websites as Secure, when they have an SSL Certificate. Better rankings are possible. Encrypts customer’s personal and payment info during transmissions for eCommerce websites. Encrypts data your visitor sends through your Contact page. Encrypts data your visitor sends through other custom forms on your website. Encrypts data that comes from the web server to your visitors web browser. Shows commitment to your visitors that you care about their privacy. You are helping to make the internet safer to browse by securing your website. Still not sure if you need to purchase an SSL Certificate? Do you have other Questions about SSL Certificates? They are available 24/7 to guide, help, and answers all of your questions, including setup.